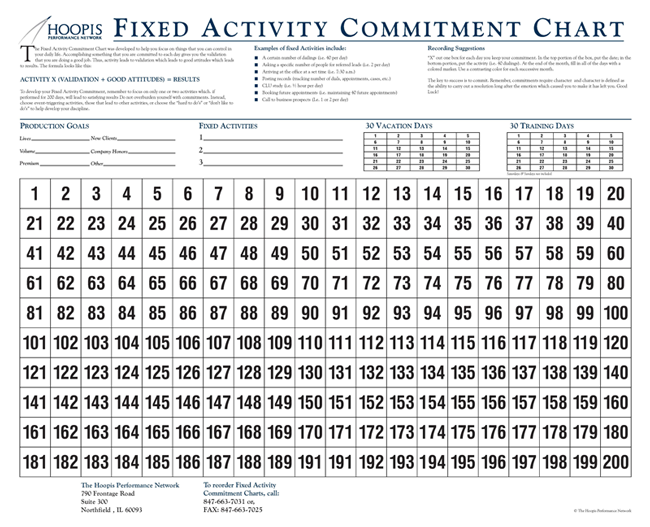 The Fixed Activity Commitment Chart was developed to help you focus on things that you can control in your daily life. Accomplishing something that you are committed to each day gives you the validation that you are doing a good job. Thus, activity leads to validation which leads to good attitudes which leads to results.